We see you, fall, but you’re not here yet. Everyone is anxiously awaiting everything pumpkin, but we’re not quite ready to give up on summer. 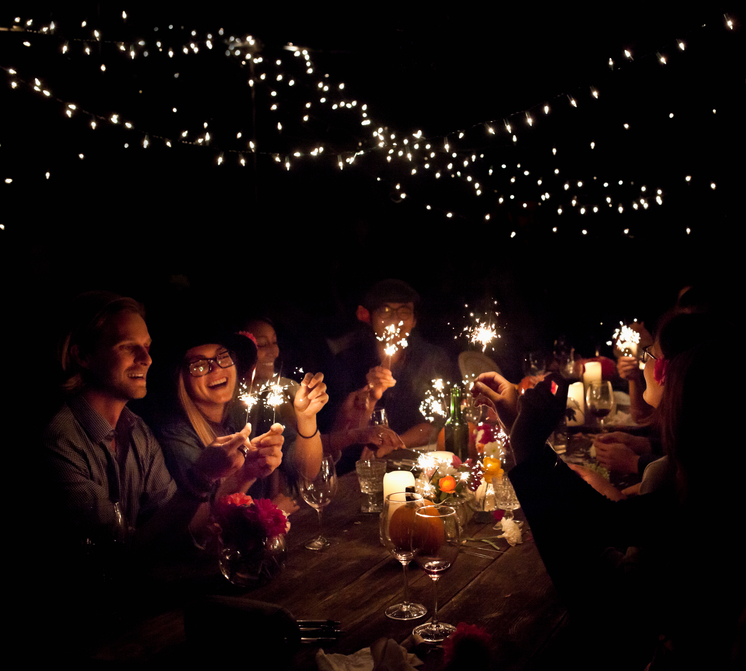 We have five ways to enjoy those cool end-of-summer nights before they’re gone for good. Grab the kids or your BFFs and head to the backyard or a local park. A blanket or hammock will do the trick. Laugh, sip a cup of Caffeine Free chai and recall your favorite summer moments. Look for constellations as dusk gives way to the dark sky. Before you’re strapped to the treadmill through those freezing winter months, get outside and enjoy the fresh air. It’s still light late enough that you can enjoy the crisp evening air. Reward yourself with a Sugar Free Original Chai Tea Latte Concentrate when you’re done. Because there’s nothing like some quality #WeTime. Invite the neighbors over and toast to another great summer in the books. Our Original Chai Tea Latte Concentrate tastes great with grilled burgers, corn on the cob and fresh fruit. Plus it’s the perfect chance to try out that summer side dish from Pinterest that you haven’t gotten to yet. You know those songs you played on repeat when you were tailgating, road tripping or just hanging poolside? We love them, too. Get them all together and enjoy an end-of-summer playlist that you can listen to throughout the workday, during your workout or sitting around on the patio. Fill your favorite mug with Vanilla Chai and soak in what’s left of summer. Don’t put those outdoor string lights away just yet. Roll the TV outside, get a cup of Salted Caramel Chai Tea Latte Concentrate and enjoy some #WeTime with the family. Cozy up on the patio furniture and watch your favorite movie. Cheers to enjoying what’s left of the summer nights!